Five years ago, the Philippines was struck by the devastation of typhoon Haiyan. 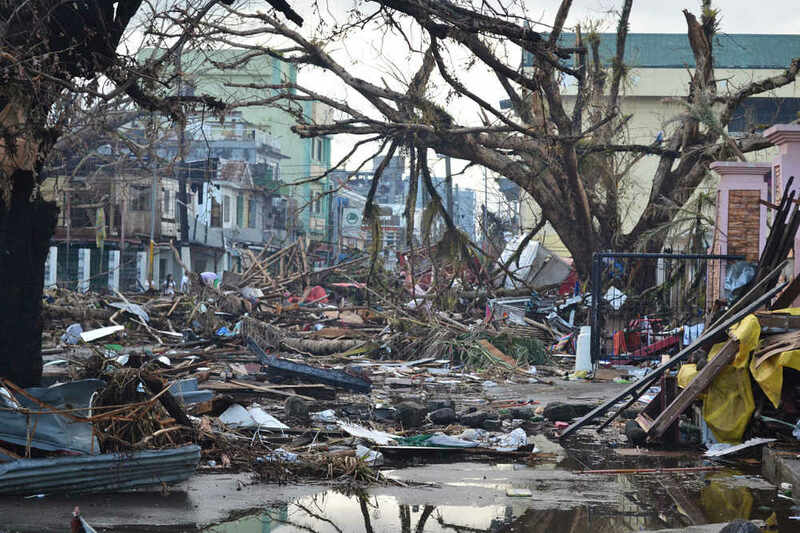 One of the most powerful tropical cyclones ever to hit land, Haiyan claimed the lives of over 6,000 people and caused incalculable suffering to millions more. In a country so often exposed to typhoons and other natural disasters, the Filipino people have learned to be survivors. Filipinos take great pride in their resilience and are known for their unwavering optimism and hope. But typhoon Haiyan has left a deep wound in the heart of this country–a wound that still bleeds for those who were lost and those who were left behind. Today, let us remember the victims of typhoon Haiyan and all others who have been impacted by climate events around the world. Let us allow their stories to move our hearts into action. Like the people of the Philippines, may we also be known for our optimism and hope as we continue the work of defending our common home.